Durham Trinity School is to use Kajima Community’s BookingsGuru lettings administration and marketing services to facilitate the hiring of its facilities for community use. 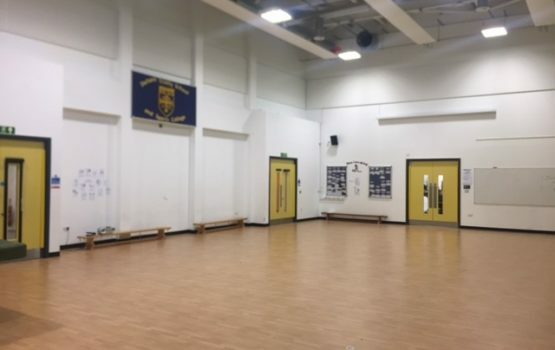 The School’s sports hall, Multi Use Games Area (MUGA), swimming pool, sports field, cookery room, meeting rooms and classrooms will all be available for hire before and after school hours, at weekends and during school holidays. BookingsGuru provides a remote administration and marketing service with dedicated administrators who handle all customer enquiries, vetting, booking amends, billing and payment collection alongside an experienced team of marketers carrying out online and social media marketing to promote the school’s facilities to potential hirers. Having operated their lettings in-house via Kajima’s BookingsPlus online software for several years, the school decided they needed some additional expert knowledge and assistance to take their lettings to the next level. To find out more about what BookingsGuru offers and how we can help you school, click here.